There have been some amazing innovations in the field related to renewable energy. A new addition to the list is the solar tree. Indian Scientist have created a solar tree in CSIR laboratory in West Bengal. 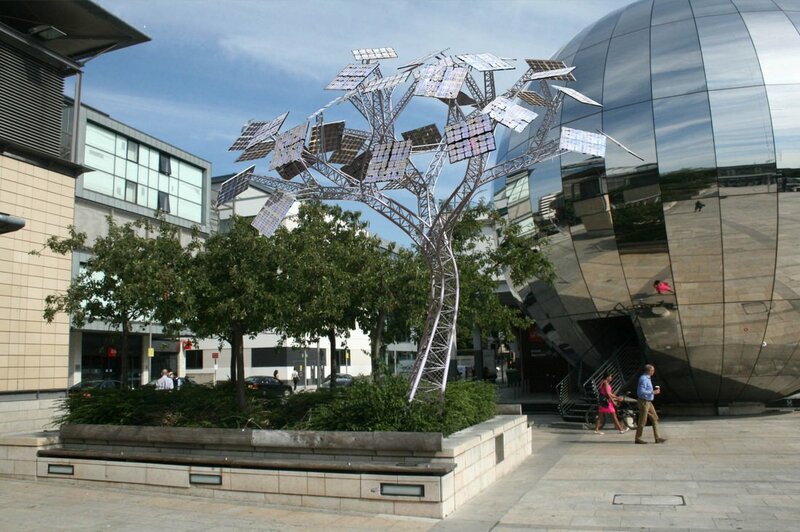 The solar tree is designed as a natural tree. It has many branches and they are connected with the solar plates at their ends. The plates are adjustable and can be placed on anywhere. It occupies an area of 4 square feet. According to a report in IANS, two solar power trees would be installed at the office at Harsh Vardhan’s bungalow after the Minister requested them.